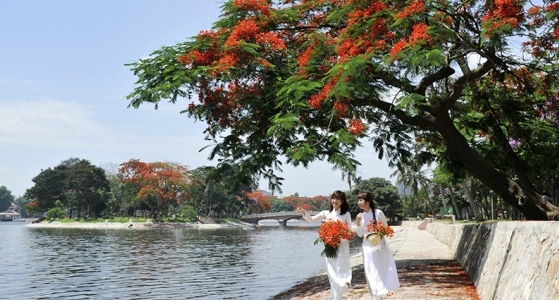 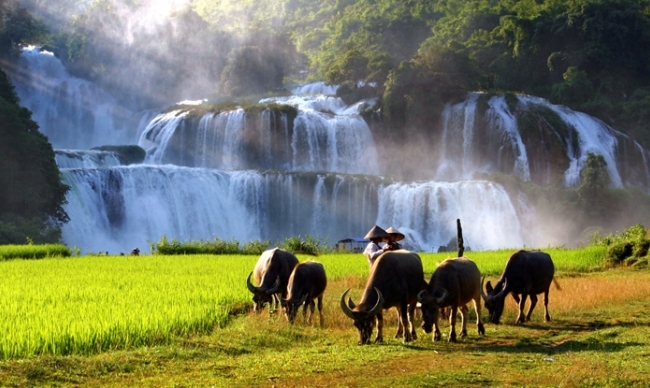 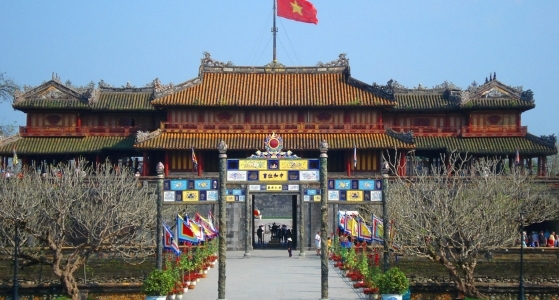 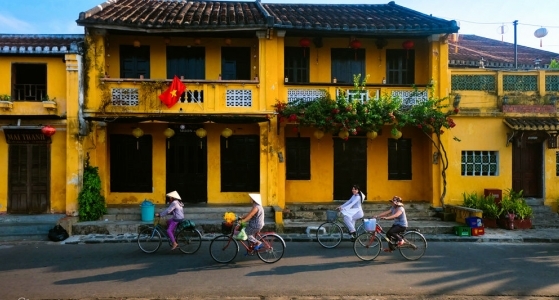 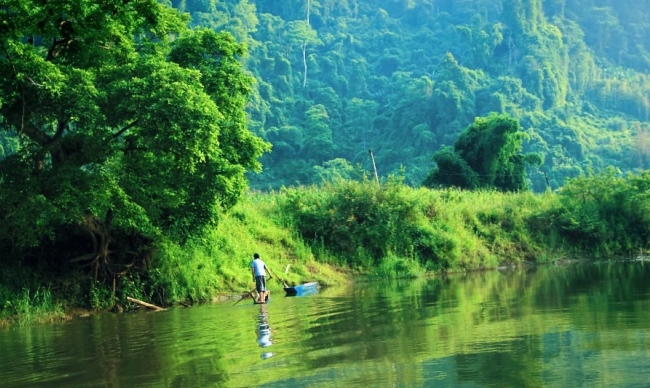 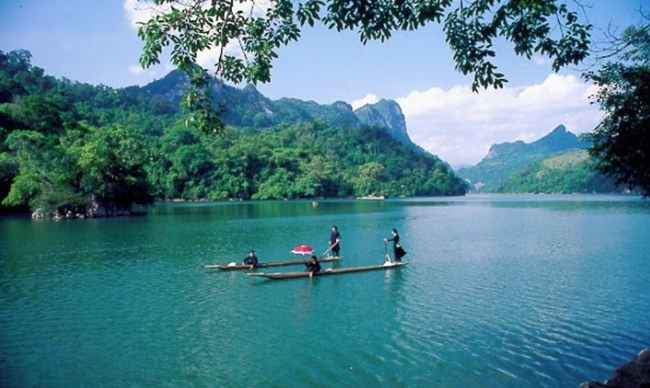 Located in the northeastern part of Vietnam, about 170 km away from Hanoi, Bac Kan is a city rich in tourism potential. 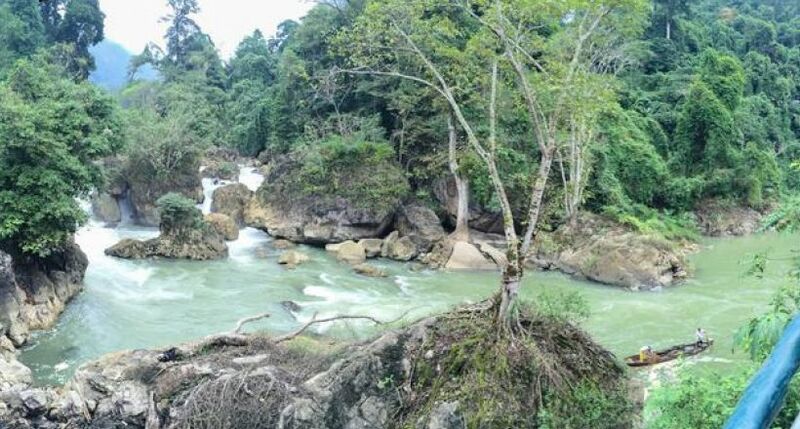 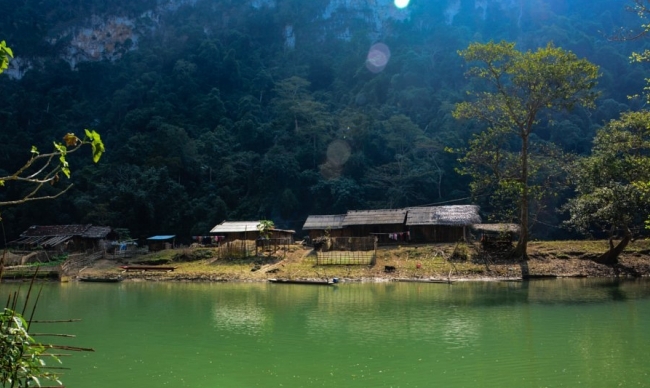 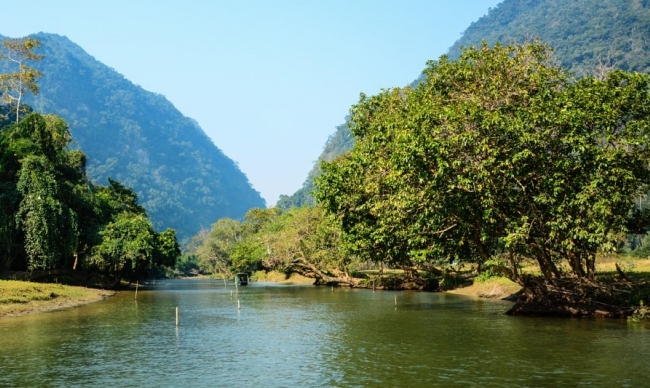 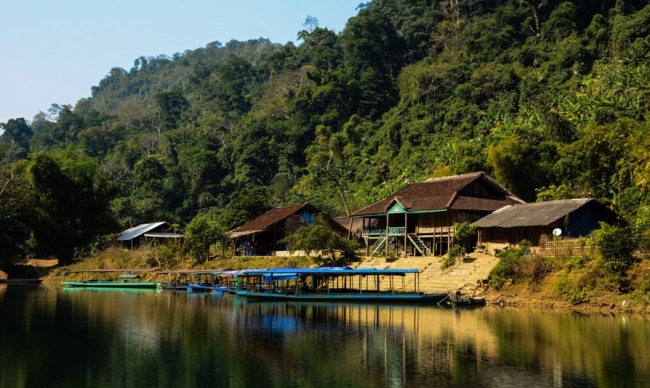 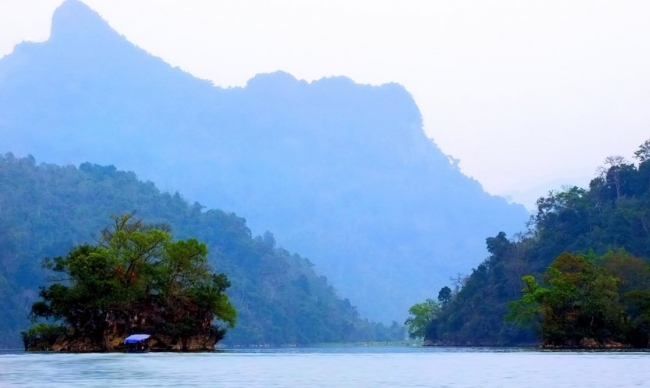 This feature is all credited to Bac Kan's abundance in natural resources (including land, forest and mineral resources) as well as its charm in cultural identity (with 7 ethnic minority groups). 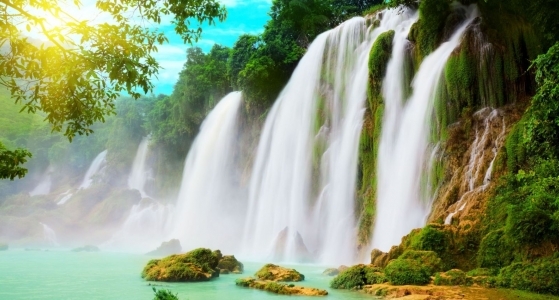 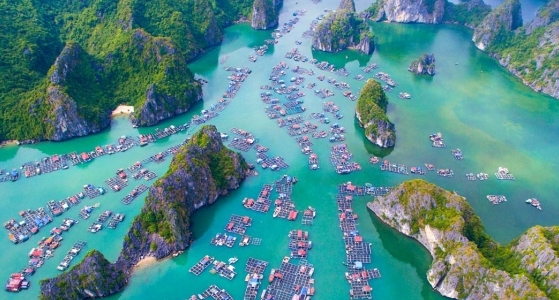 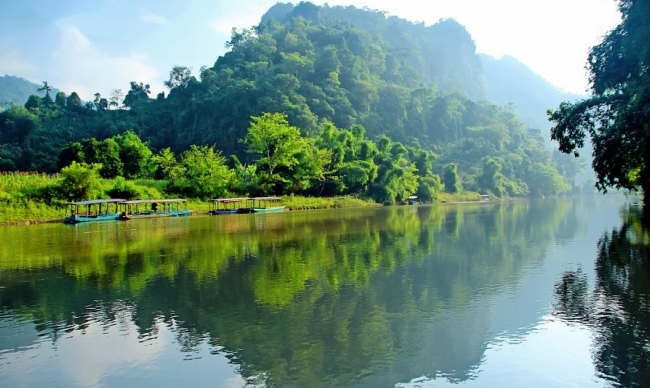 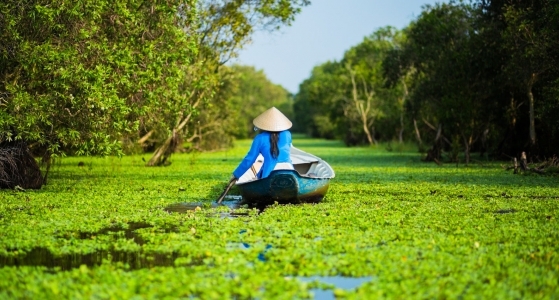 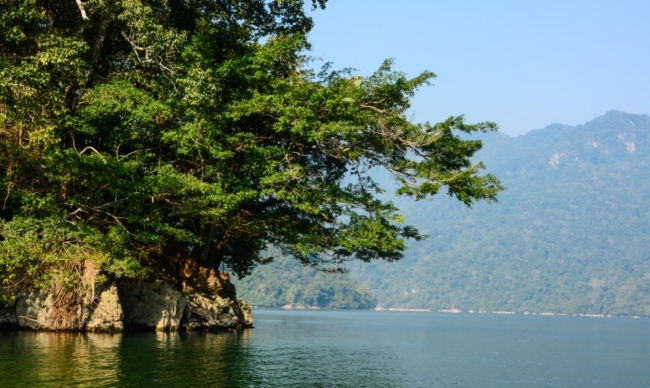 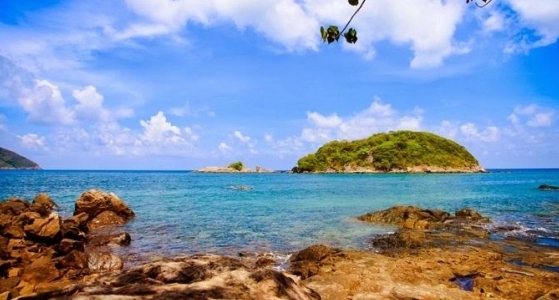 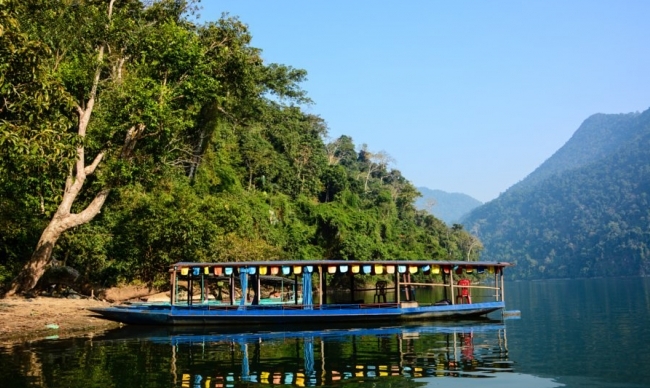 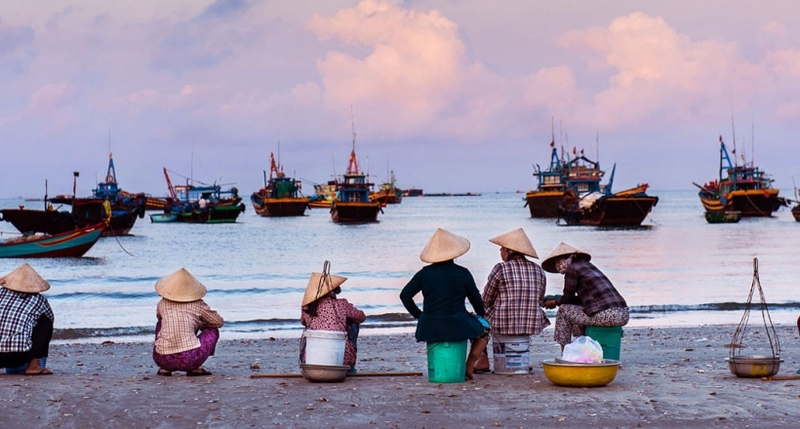 Lying within the precinct of Ba Be National Park, Ba Be Lake is the largest natural freshwater lake in Vietnam and is among the world's 20 most beautiful water lakes. 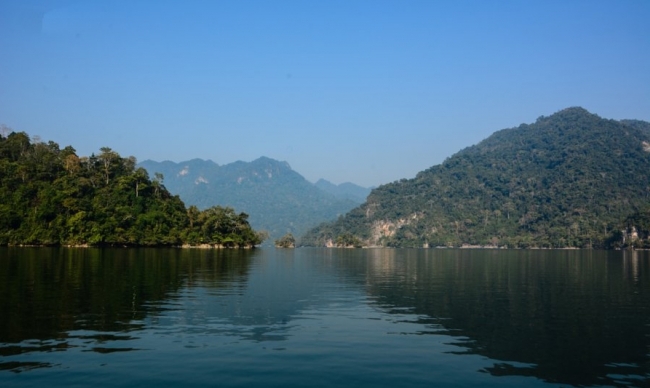 The origin of its name can be traced back to legends, in which Ba Be was formed by three vast lakes: Pe Lam, Pe Lu, Pe Leng, creating Ba Be's immensity. 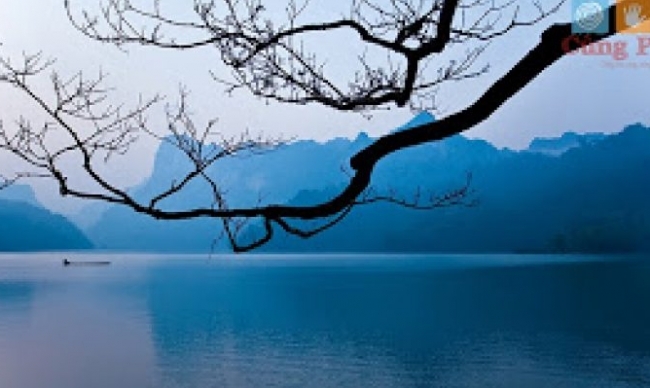 As you can see, "Ba" means "three", and "Be" is a Tay word which means "lake". 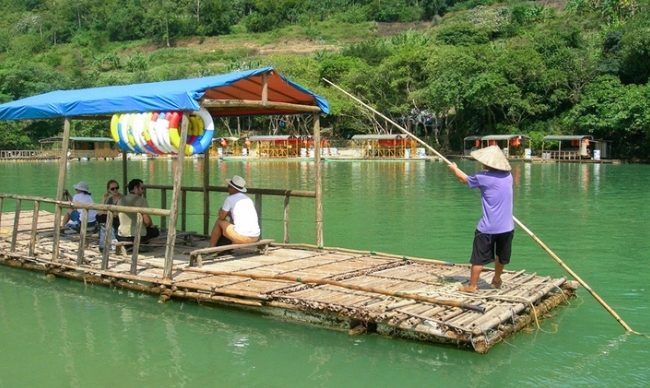 The water from these three lakes can traffic through one another; however, people cannot use boats to travel among them because of blocking rocks. 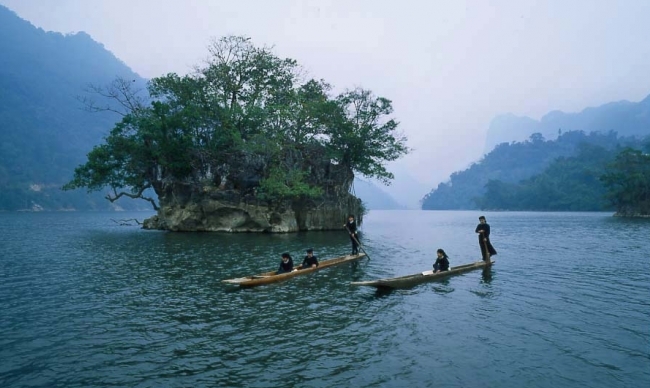 In the middle of Ba Be is a small mound named Widow's Island (Go Ba Goa). 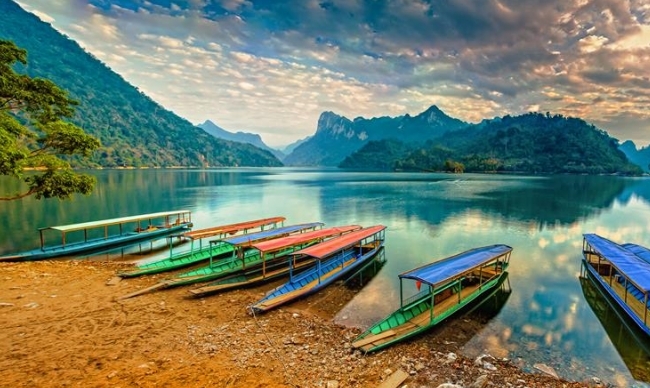 The lake's water is of crystal clear aqua, looking like a precious emerald, and being outstanding among the majestic mountains of upper North Vietnam. 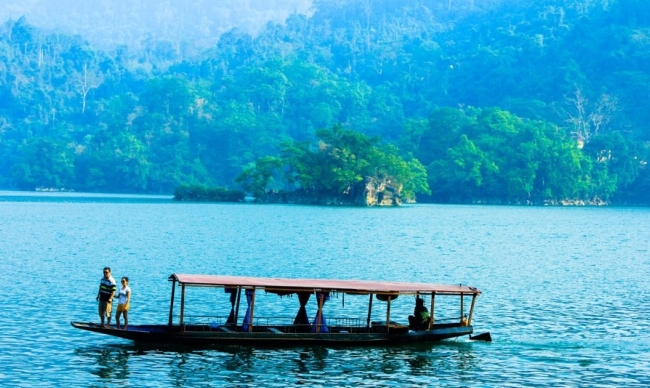 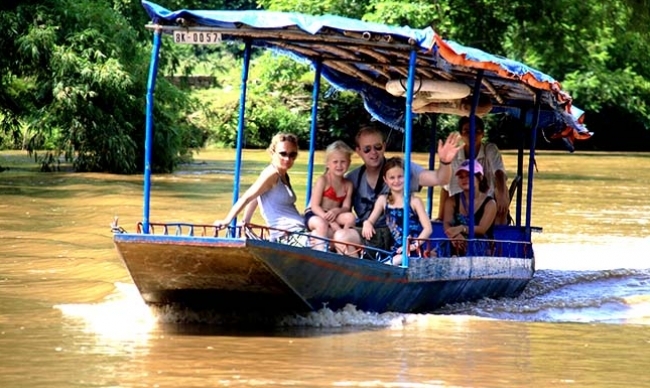 Visiting Ba Be, you cannot omit enjoying a boat ride on the lake's surface, bathing at Ba Goa Island, or gazing in admiration the karst features of Puong cavern. 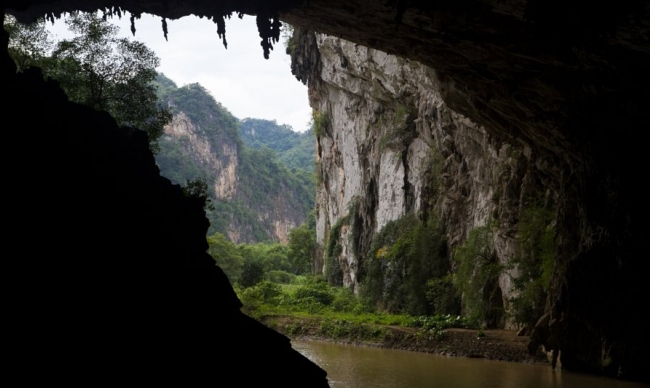 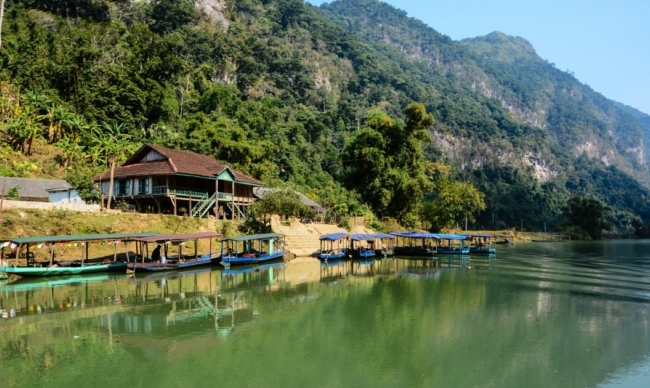 Besides, tourists can pay several visits to a wide range of caves and caverns in Bac Kan for example: Na Poong, Ba Cua (Three Gates), Son Duong (Chamois), Nang Tien (Fairy). 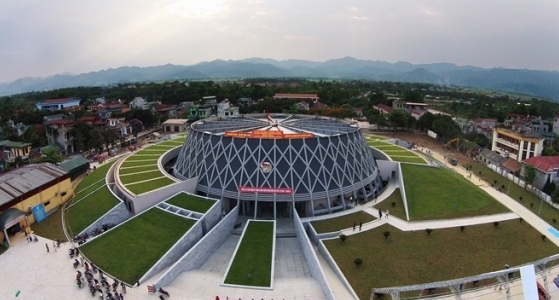 Those who are interested in history can drop by Na Tu relic at Cam Giang commune, Bach Thong district where Uncle Ho'sHpHo poem of encouraging Vietnamese youngsters was read for the first time. 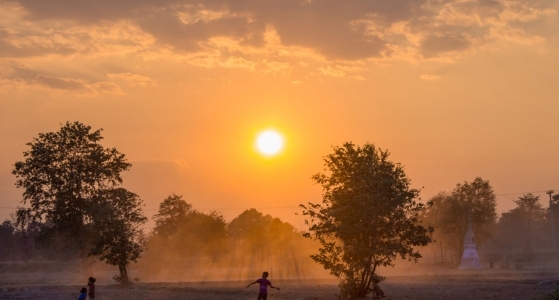 Its underlying message is of much importance even in today; that is: As long as we stand our ground, nothing can trouble us. 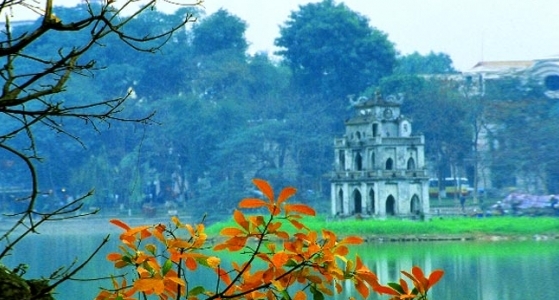 In such spirit, bust in ATK Cho Don to experience a little bit the atmosphere during France-Vietnam wartime. 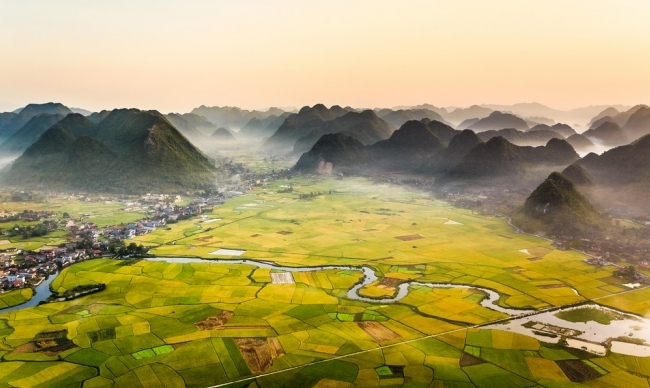 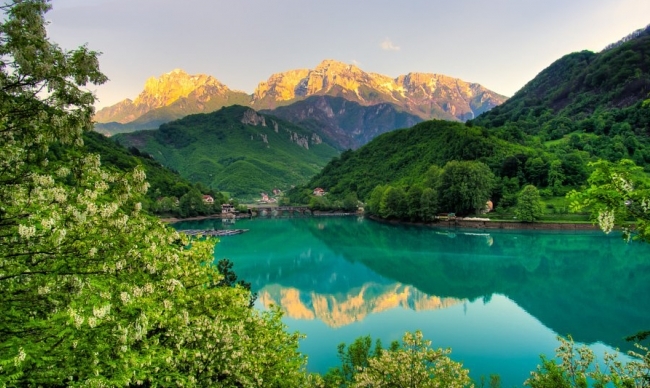 Still, the landscape around this revolutionary base is indeed poetic, with houses hidden in trees rows, wavy slopes, as well as cool and fresh streams. 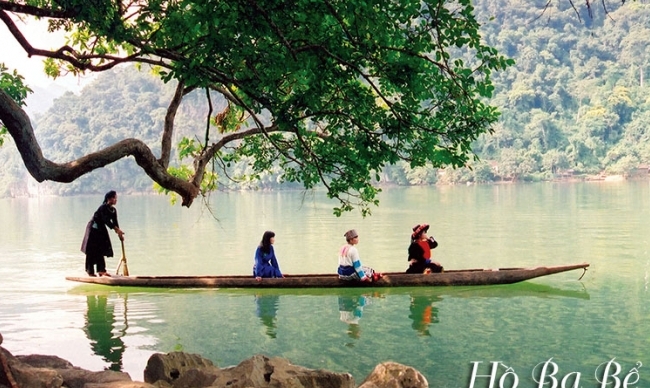 In terms of specialties, people living in Bac Kan have endless to proud of. 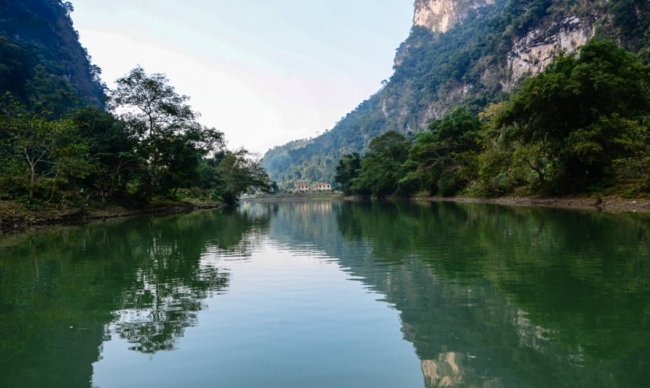 It could be dzong vermicelli - miến dong, a type of arrowroot noodles, bee sweet soup - chè con ong, which is made from sticky rice, ginger root, sesame, molasses and honey, or Bo Nam wine - a kind of sweet wine fermented from corn and herbs. 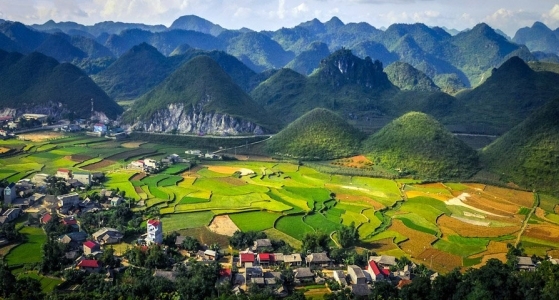 It could also be any kind of agricultural products grown here: Quang Thuan tangerine - a special type of tangerine from Quang Thuan commune which is unbelievably delicious, Bao Thai rice, field mushroom, ginger, taro, potato, and so on. 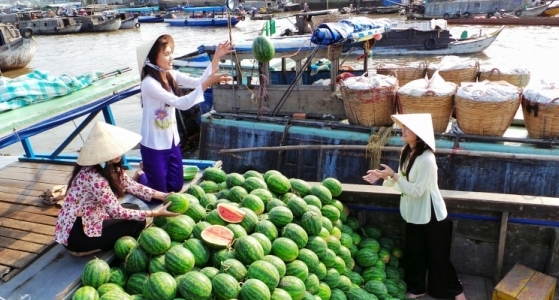 Hopefully, the province can spread their delicacies widely.